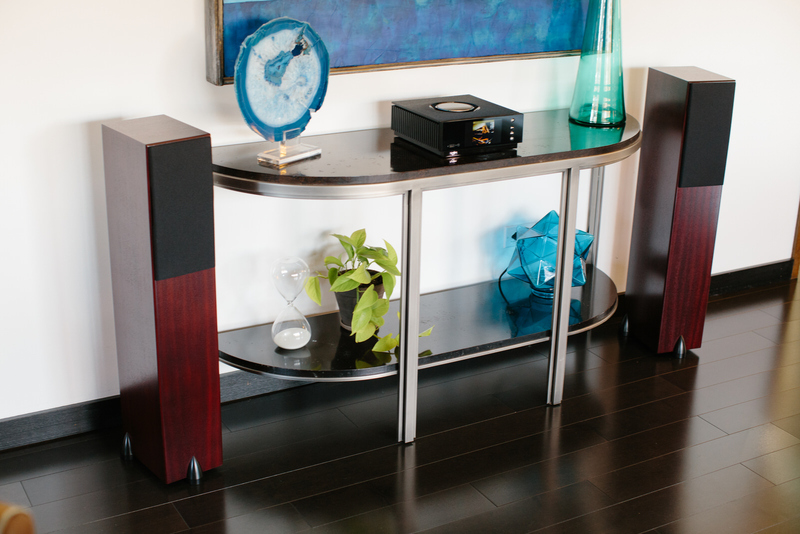 With Uniti Systems you will get a complete, beautiful-sounding stereo in a small and elegant package. You have many easy ways to access music using Naim’s intuitive application on your phone or tablet. 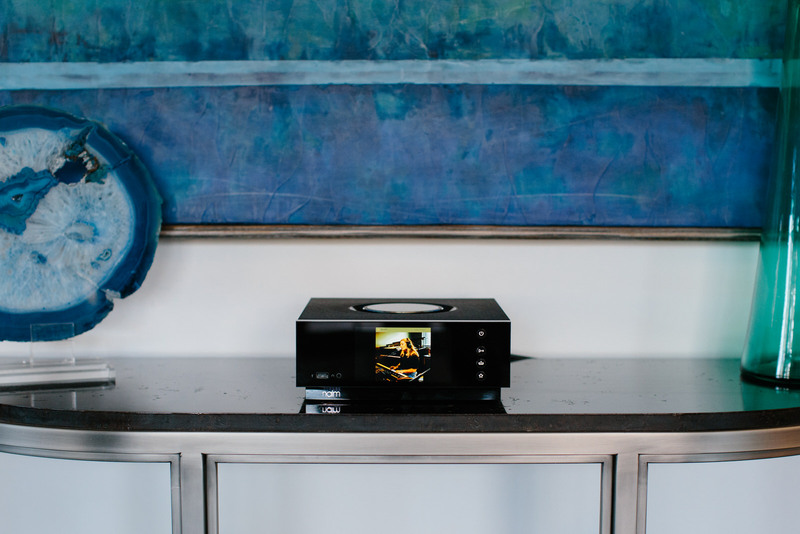 In the future you can easily expand your listening to any room in your home with the addition of Naim Mu-so Systems or other Uniti-range products from Naim like Star or Nova. 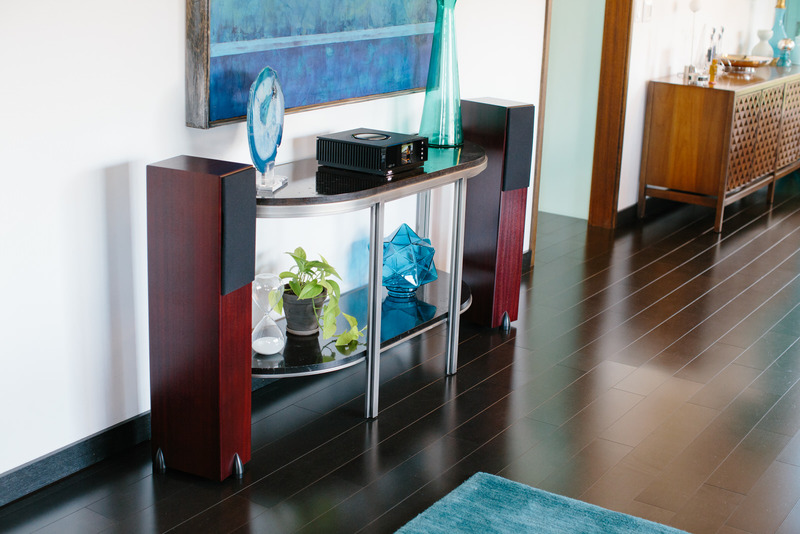 Play the same music throughout your home or individually selected music in each room. This system can also easily be hooked up to your TV, resulting in a more engaging experience watching TV, movies or concerts as well as playing video games. 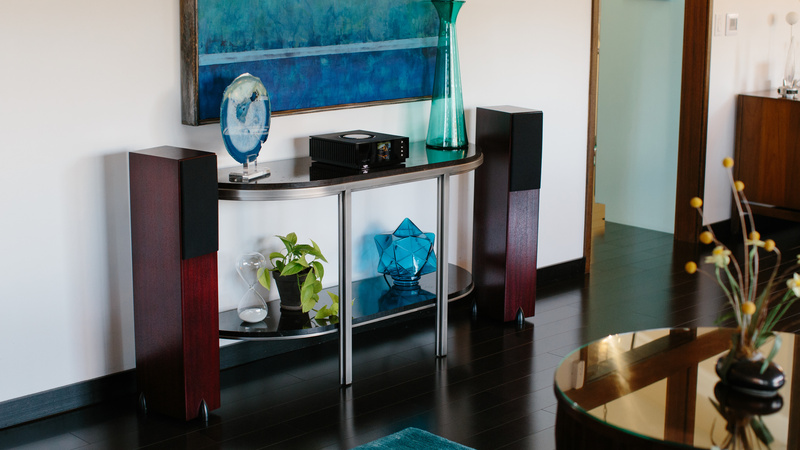 The Atom system is a truly modern stereo for your home that is a testament to our Minimalist Systems concept, achieving high performance audio while maintaining a small footprint utilizing high quality, high value components. 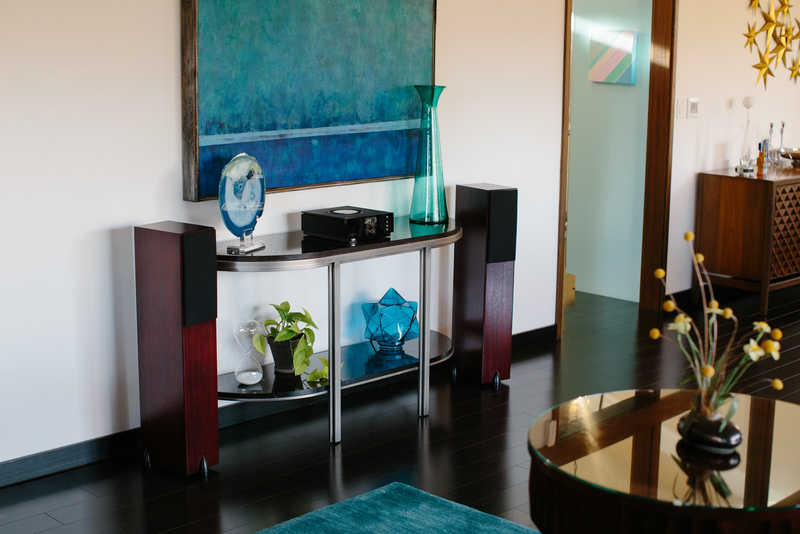 The Atom System incorporates the Naim Uniti Atom and Totem Sky shelf speakers. 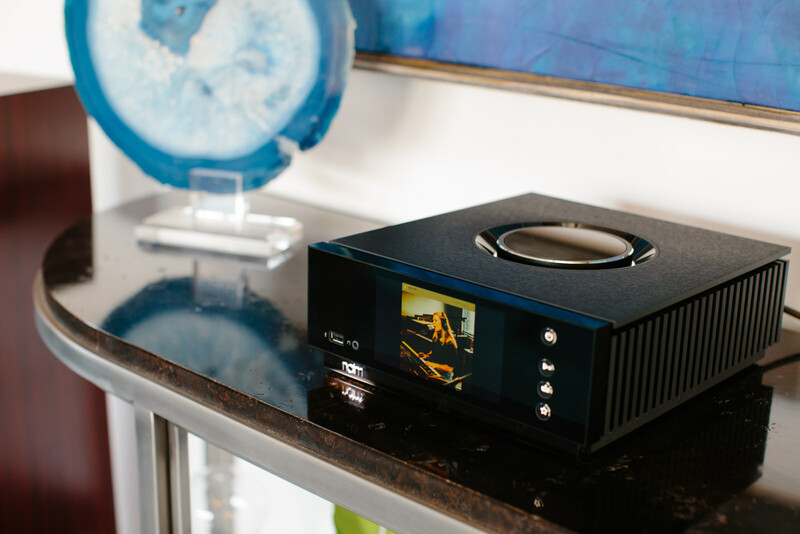 The Naim Uniti Atom is based on the technology Naim started with the Mu-so. The Atom is a high quality integrated amplifier with plenty of power for these high performance and very compact speakers. Atom systems are available with a variety of speakers all by the same designer at Totem. They depend only on what fits your ear, your home and your budget. 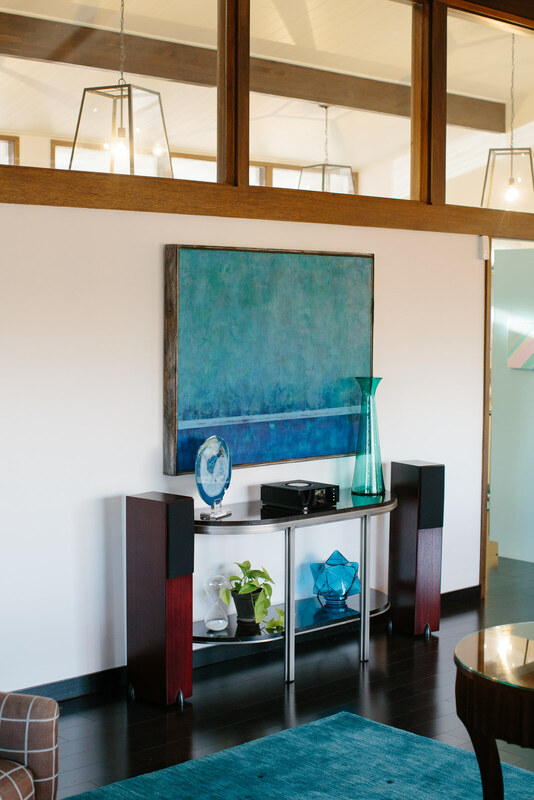 With Totem Sky floor standing speakers, the system price is $5895. the floor standing speaker offers better bass in the same diminutive design. We recommend this option rather than shelf speakers on stands. The system is complete with Transparent high performance speaker cable and power cord. The robust Atom can easily power the more substantial Totem Forest speakers. These superb floor standing speakers are still diminutive in size and can fit well into your environment. The system is complete with appropriate Transparent high performance speaker cable and power cord. $7995. Our lowest price option can reduce the system price to $3595 with a modest decrease in performance. This variation uses the Naim UnitiQute integrated amplifier and the Totem Rainmaker shelf speakers with Transparent speaker cable and power cord. What is Included with Your Purchase of an Atom System?